I want to introduce my big, scary, dream come true. Something decades in the making, something that I have stopped and started more times than I can count. Something that seemed equally possible impossible. It just took someone to look me in the eyes and ask why not just try? So try I did. I took the files that have been hiding in a folder on my desktop. The ones that I have been dreaming of and working on for longer than I can remember, and I did something with them. Then I added some more. I bought a domain. Set up an Instagram account and Facebook page. I ordered business cards. I did a test run. And now I have a t-shirt company. In case you are like me, who loves a good origin story, I designed my first t-shirt my sophomore year of high school. Eons before Photoshop and really any useful graphic programs, it was just me and whatever art supplies I had on hand. I took my design and drove it to the local screen printer in my 1979 Volvo station wagon. A week later I picked them up, and the Trabuco Hills High School swim team had official shirts. Fast forward a few years, I start dating a boy, who happened to be a drummer, who's band happened to need people to man the merchandise booth. At the time the booth was actually not a booth, just shirts piled on whatever table the venue gave them. 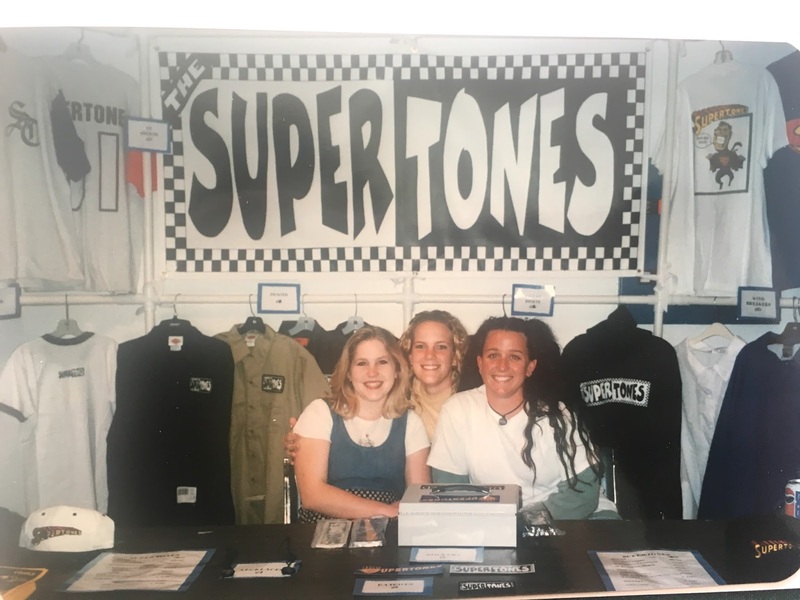 I enlisted the help of my mom, and together we sketched out a plan, purchased PVC pipes and built the Supertones first merch booth. My friends and I painted the banner, because free labor is way cheaper than a sign shop. Pretty much every weekend you could find us here. It still holds some of my fondest memories. And perhaps my least fond hair color. Since then I have steered clear of the boxed hair dye at CVS, and designed the occasional shirt for church, for adoption fundraisers, etc. Each time I would design one, the dream in my heart would be rekindled, and then pushed away. One of the main factors was the fact that I had yet to find a soft, durable, flattering shirt, that washed well. I knew that if I were to pursue this dream, I could only stand behind a shirt that I would actually wear. Know that I am extraordinarily picky. I have too many shirts that started off soft, and then pilled after a wear or two. Or even worse the kind that when you buy them they are portrait shaped, and after one wash they are landscape. NO. I finally came across the brand Bella+Canvas. With that discovery I knew that this dream could finally happen. So here I am, a girl standing in front of you with a bunch of t-shirts, asking you to love them. 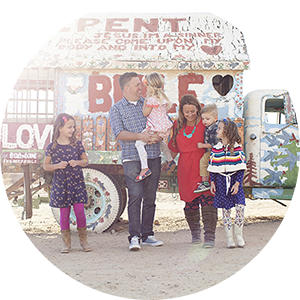 Tomorrow I will share where the name came from, and the heart of what I plan to do with this adventure. eeeekkk!!! i just bought the Chips and Salsa!!! Cant wait!!! So proud of you, friend! love that you're doing this, and they are beyond adorable!! Congratulations! What a neat venture. I am so excited for your dream come true! Yay dreams! All I have to do now is decide which one to get...or two to get....And where did you get the gold tipped converse?!? I found them on Amazon. They are everything. You truly are such a gift Sandy. Sunshine and encouragement. Thank you. Woo Hoo Julie, you go girl !!! I've always known you would do great things ever since your mathematical equation re: the housekeeper/room cleaning delima at the BLI. Love you and your courageous spirit. I hope there are grown up sizes to come. 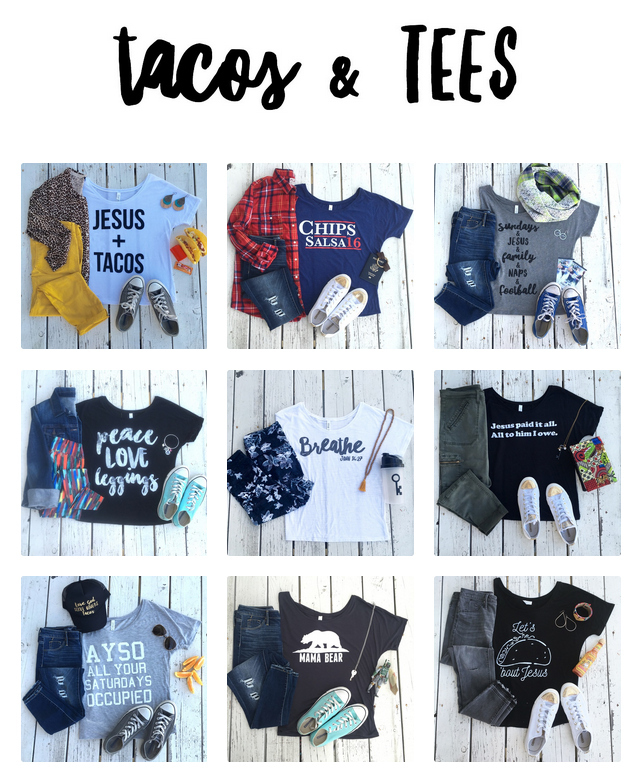 My daughter would love the Taco bout Jesus one. Even in Madagascar !!! You have the best memory!!!! And all of the sizes are for grown ups. How fun would it be to ship something to Madagascar! Congrats Julie on following your dream! I'm so excited for you!! I am so, so, so excited for you! Congratulations!